How To Setup Simple REST API Using PHP? If you are looking to setup Rest Api Using Php here are steps to follow for How To Setup Simple REST API Using PHP? 1. What is REST API? 2. How To INSERT Data Using REST API? 3. How To READ Data Using REST API? 4. How To UPDATE Data Using REST API? 5. How To DELETE Data Using REST API? 1. What is REST API using PHP? 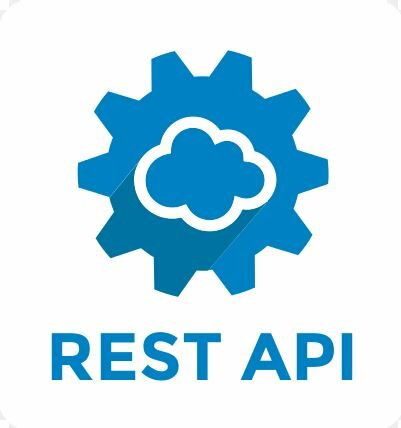 GUYS, we are learning REST API,To define “REST API”, We Have To Know What is “REST” and What is “API” First. API stand for “Application Programming Interface”. API is just a piece of program or a set of rules that provides a way of communication from one software application to another software application. for example: when we use some app or website to book our tickets.we take a example of PAYTM.when explore paytm to book our tickts,we see ‘how many tickts are left’? and also ‘what seat is booked’? or ‘what seat is still blank’? in background paytm fetch data through API and display in our app. Before start performing the operations we need to setup a database.so get ready to setup database. Using PhpMyAdmin, create a new “restapi_db” database. Yes, “restapi_db” is the database name. After that, run the following SQL queries to create new tables with sample data. Create “config” folder. Open that folder and create “database.php” file. Put the following code inside it. Open “product” folder. Create a new “insert.php” file. Open that file and put the following code inside it. Open “objects” folder. Open “product.php” file. The previous section will not work without the following code inside the Product (objects/product.php) class. Add the following method inside the “Product” class. To make sure you added it correctly, put the code before the last closing curly brace. One more step which make process easy for How To Setup Simple REST API Using PHP.. Create “objects” folder. Open that folder and create “product.php” file. Put the following code inside it. Create “product” folder. Open that folder and create “read.php” file. Put the following code inside it. Open “objects” folder. Open “product.php” file. The code on the previous section will not work without the following code in “product.php” file. Notice: Extension works only in chrome browser. Open “product” folder. Create new “read_one.php” file. Open that file and put the following code. Open “objects” folder. Open “product.php” file. The previous section will not work without the following code inside the Product class. As you can see in the URL above, an ID parameter value (id=1) has to be passed. Open “product” folder. Create new “update.php” file. Open that file and put the following code inside it. 5. How To DELETE Data Using REST API Using PHP? Open “product” folder. Create new “delete.php” file. Open that file and put the following code inside it. If you have a friend or know someone who needs this PHP REST API Tutorial, please share this page to them! I know you will help them a lot by doing it. Please follow all steps of How To Setup Simple REST API Using PHP, it will guide you complete process. Please Connect with us for any questions or any concerns related to How To Setup Simple REST API Using PHP.